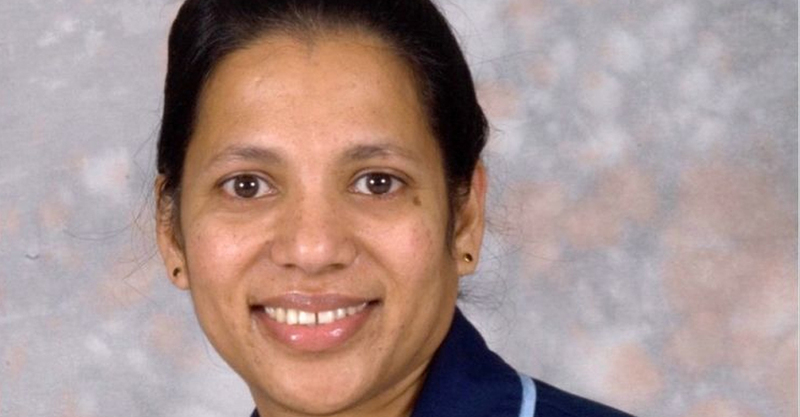 Ajimol Pradip, the Malayali nurse who has been creating awareness among the Asians in London about the significance of organ donation for almost a decade, has been honoured with the prestigious British Empire Medal. It is awarded for the meritorious services and is recognised by the monarch. Ajimol had earlier won the ‘Nurse of the Year’ award in Britain. Ajimol is a volunteer nurse for the NHS Foundation Trust at the University of Manchester. Those who know Ajimol personally vouches that the medical professional is service oriented and has always displayed great compassion for others. When everybody else would be enjoying and having fun on the weekends, this family would be on the road passionately spreading the message of the importance of organ donation. Ajimol Pradip, her husband Chacko Pradip Jacob, and daughters Cathy and Valentina.Her husband Chacko Pradip Jacob, a native of Chalukunnu in Kottayam, is the catering supervisor at the Manchester Royal Hospital. Ajimol points out that among the critically ill patients who await organ transplant in the various hospitals in Britain, 20% are Asians. She adds that only 2% of potential donors who would be a match express their willingness for the great cause. The British Regional Society too has come out in support of Ajimol’s efforts which initiated a great change by encouraging organ donation among Asians. She even did extensive research in the topic and earned a PhD. Ajimol, who is the daughter of KJ Joseph and Annamma of Chungam in Kottayam town, says it is her father who taught her to live for others. She hopes that significant and creative changes are brought about in organ donation in Kerala as well.